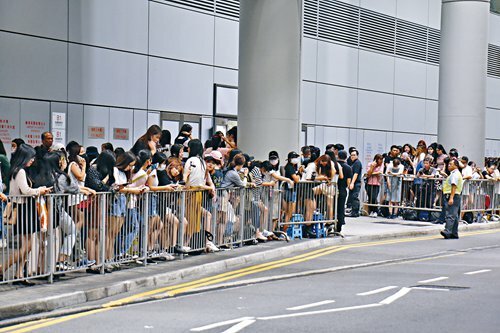 On December 15, about 360 passengers on a Korean Air flight from Hong Kong to Seoul were forced to get off the plane and go through another security check after four Chinese K-pop fans suddenly asked to get off the plane. The four had never actually intended to take the flight. The only reason they had purchased tickets was because their favorite K-pop band was on the plane and they needed to find a way onboard to take photos with the band. Mission accomplished they tried to save themselves some money by asking to be let off and requesting a refund for the tickets, despite the fact that doing so caused the plane to be delayed an entire hour for a mandatory security check that must be carried out if a passenger departs a plane. Their behavior aroused anger on social media, especially among Chinese netizens who were embarrassed that their fellow countrymen could act so disgracefully on an international flight. After the incident, Korean Air raised the penalty for ticket refunds to 1,200 yuan ($173) to prevent something similar from happening again. This is not the only time that crazed fans have caused trouble. 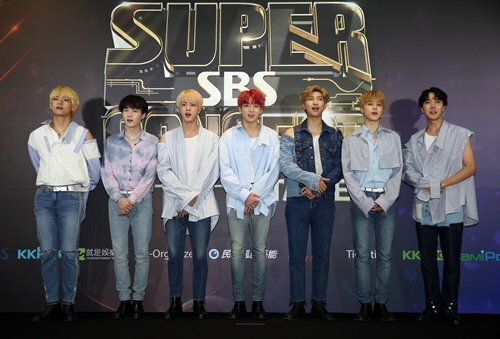 On December 9, South Korean idol group BTS was involved in a car accident after a concert at the Taoyuan International Baseball Stadium in Taiwan. According to the concert organizers, the accident occurred when the band's tour bus had to stop quickly and a vehicle following closely behind hit the bus "lightly from behind." According to social media reports from fans who witnessed the accident, the car that hit the bus contained fans who were following the band's tour bus. While no one was hurt, at least seven vehicles were involved, according to local reports. Chinese stars have also been involved in incidents. According to a post on Chinese actor Zhu Yilong's Sina Weibo on Tuesday, the young performer's car was hit earlier that day by a rental car driven by fans as he was traveling to a movie studio. Fortunately, no one was hurt. While a majority of idol fans are content to catch a glimpse of their favorite stars at fan meets or concerts and the like, some fans have a desire for more, which leads them to go to extremes such as trying to get a peek at a celebrity's undisclosed itinerary or showing up while they are going about their private lives. As idol culture is huge in South Korea, South Koreans have even coined a term for these fans: sasaeng fans, or sisheng fans in Chinese - literally "private-life fans." These fans have earned quite a notorious reputation in China. For instance, Chinese actor Zhang Ruoyun posted about his experiences being harassed by sisheng fans on Sina Weibo back in April. According to the post, he has been forced to change his home phone number twice because overzealous fans who somehow got his number kept calling; he was also forced to change hotel rooms several times after he discovered someone waiting outside his room, and even had to call the police one time because some fan came knocking on the door to his home in the middle of the night. Zhang went on to complain how in today's information age personal details are easily leaked "intentionally and unintentionally" and while invading celebrities privacy was expected behavior from paparazzi it was disheartening that fans were now getting in on it. Of course most fans do not go to such extremes and in fact have difficulty understanding what makes these sisheng fans tick. Dong Jinglin, a 20-something Chinese college student studying Korean culture and a fan of K-pop bands has faith that most fans are level-headed. "A majority of fans are like me, very common and very normal," she explained. "We are easily satisfied just seeing our idols on stage at a concert." However, when mentioning sisheng fans, her mood suddenly changes. "Idols and fans are strangers to each other when they are off the stage, why would you go bother the life of a stranger?" For many fans, the whole reason they look up to idols is because they motivate them to be better. Wang Kai, 23, has been a fan of Chinese singer Zhang Yixing for five years. She noted that her idol had changed her a lot. Wang became a fan of Zhang because she was attracted by his modesty and hardworking nature. "Zhang is an idol who can affect others with his positive power," Wang said. "Fans can see how he has changed as time goes by and this influences them." Wang said that the key to being a "rational" fan is that your idol should make you a better person, but if following an idol ends up making your life a mess, then you may have become a "mad fan." She mentioned that one of her roommates often skips classes and flies to other cities just to meet her idols. As a result she was unable to complete her required courses at university. "She will skip one week of class just to meet her idol at the airport, even though her idol only shows up for several minutes." "Having your idols act as a good example to motivate yourself to be better, that is probably the best type of relationship between an idol and fans," Wang noted. Dong holds the same opinion: "Sacrificing everything to infiltrate your idols' private life is meaningless. This will not only hurt you but also your idol."